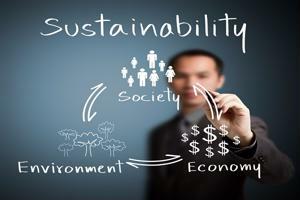 One of the biggest trends impacting global supply chains today is the increased demand for sustainability. As both consumers and businesses are becoming more environmentally aware and responsible, companies are facing growing expectations around reducing the impact their operations have on the planet. More specifically, as a recent UN Global Impact report pointed out, supply chain managers are starting to embrace sustainability and exercise more responsibility to ensure they are responding and adjusting appropriately to the "geopolitical conflicts, changing weather patterns and raw materials shortages and to improve their impacts on the workforce, local communities and the environment." Furthermore, the source revealed that organizations are driven by the proliferation of operational, financial and regulatory risks associated with sustainability, yet many face issues with variances in compliance requirements. Ethical Corporation also released its State of Sustainable Supply Chains 2016 report which highlighted key trends, issues and opportunities regarding sustainability in supply chains today. Below are some of the biggest findings the research revealed. Forty-seven percent of supply chain executives indicated that their number one priority is human rights, followed by environmental concerns (43 percent), traceability (42 percent), eliminating dependency on unsustainable raw materials (40 percent) and measurement (30 percent). On the other hand, supplier diversity is a topic they are least concerned with, as well as community engagement and certification. And while having a diverse network of vendors may not be a primary focus for organizations, establishing more integration with their existing partners is. According to Ethical Corporation, supply chain professionals said they see resource efficiency as being the biggest opportunity for them over the next year, followed by industry collaboration and the development of a circular economy - indicating an increased interest in and goal of learning how to create more while also improving their environmental responsibility. It is also worth noting that more than 34 percent of participants said their biggest motivator is eliminating supply chain risks. Target Corp. recently severed ties with one of its textile suppliers after its investigation learned that the manufacturer had been selling the retailer products that were not made using the materials it claimed it would. This is just one example of the importance of companies ensuring ethical standards and practices are used not just throughout their own organizations, but along the supply chains of their vendors as well. Improving supply chain sustainability requires strong collaboration and integration among suppliers. However, the UN Global Impact report revealed that traceability and transparency with distant tiers of the supply chain are major challenges for most companies. The rapid development of innovative technologies has provided businesses with the solutions needed to enhance a myriad of operations and processes throughout the entire supply chain - and these solutions may be the answer for improving sustainability as well. The UN Global Impact report explained that the maturity of technology solutions are advancing in a way that offers more insight into supplier performance and incorporates information from a wide range of parties and stakeholders. "Technology will continue to play an increasing role in supply chain sustainability, offering modular, cloud-based sector-specific solutions, with the potential of global cluster databases being created in the future," the source stated. As supply chains expand and grow more complex, achieving higher levels of integration and collaboration is of utmost importance - a goal that becomes significantly easier to achieve by leveraging modern supply chain software and technology. As a result, businesses will likely continue to adopt this strategy as a way to further improve sustainability success.